آرسنی یاتسنیوک، نخست وزیر اوکراین، از رئيس جمهوری روسيه خواست ارتش روسيه را از اوکراين خارج کند. 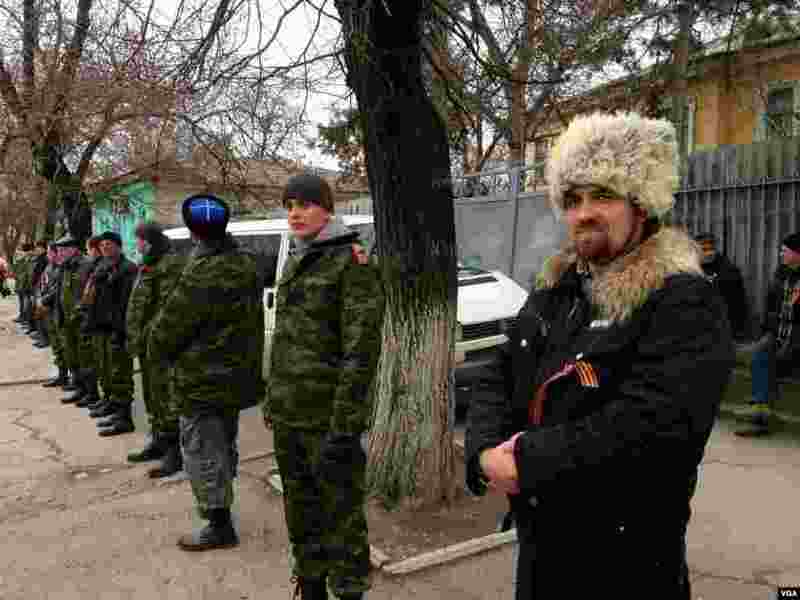 ۱ Unidentified gunmen guard Ukraine's infantry base in Privolnoye, Ukraine, March 2, 2014. 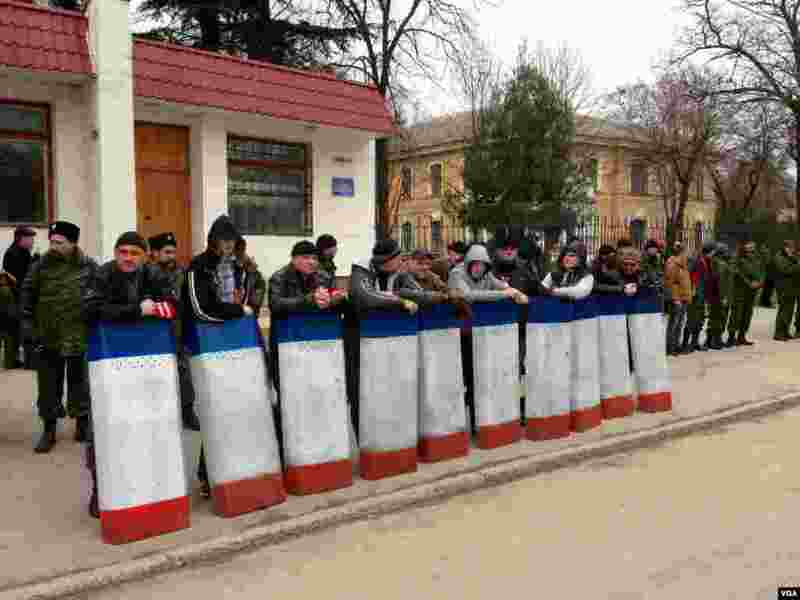 ۲ Pro-Russian irregulars form self defense units in Crimea's capital, Simferopol, Ukriane, March 2, 2014. (Elizabeth Arrott/VOA). 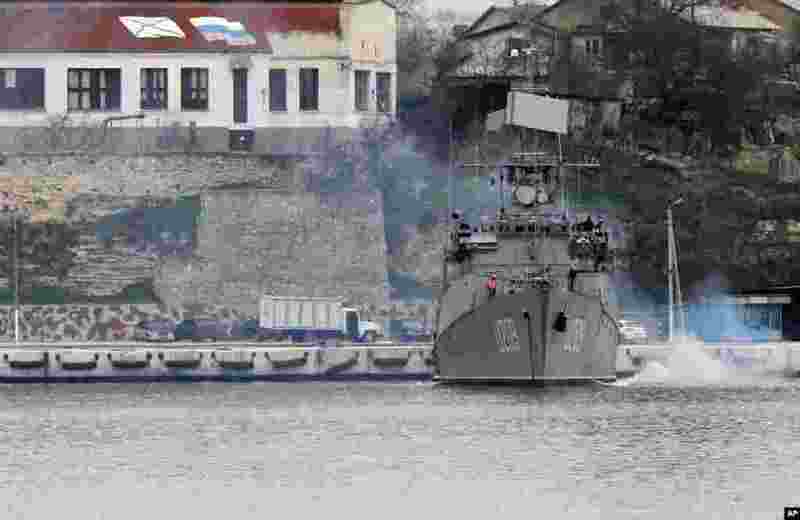 ۳ Ukrainian sailors prepare their anti-submarine ship "Ternopil" in the Black Sea port of Sevastopol, Crimea, Ukraine, March 2, 2014. 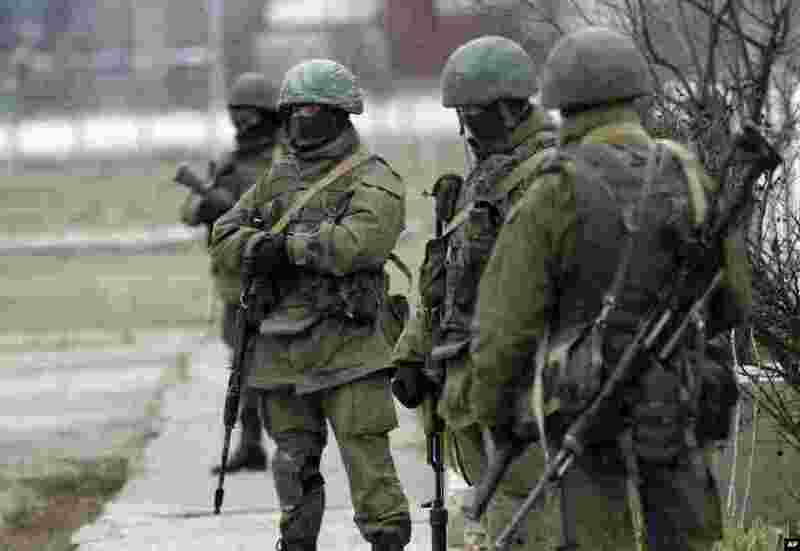 ۴ Ukraine mobilised on Sunday for war and called up its reserves, after Russian President Vladimir Putin threatened to invade in the biggest confrontation between Moscow and the West since the Cold War. 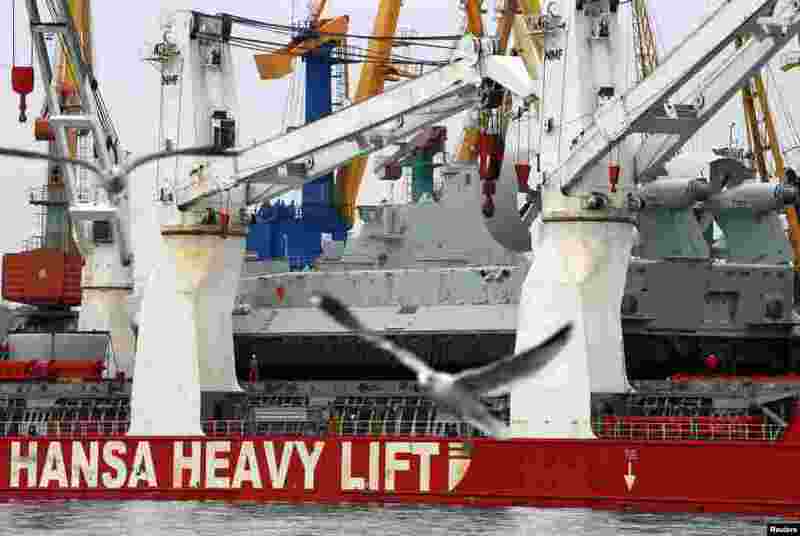 Pictured here is a Zubr Class air cushion landing craft at the port of the Crimean port city of Feodosiya, Ukraine, March 2, 2014. 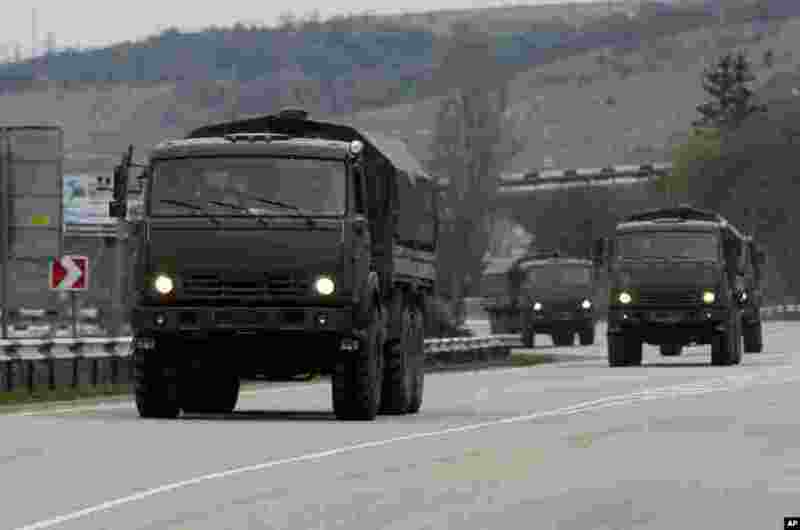 ۵ A convoy of hundreds of Russian troops headed toward the regional capital of Ukraine's Crimea region, a day after Russia's forces took over the strategic Black Sea peninsula without firing a shot. Pictured here, a Russian convoy moves from Sevastopol to Sinferopol in the Crimea, Ukraine, March 2, 2014. 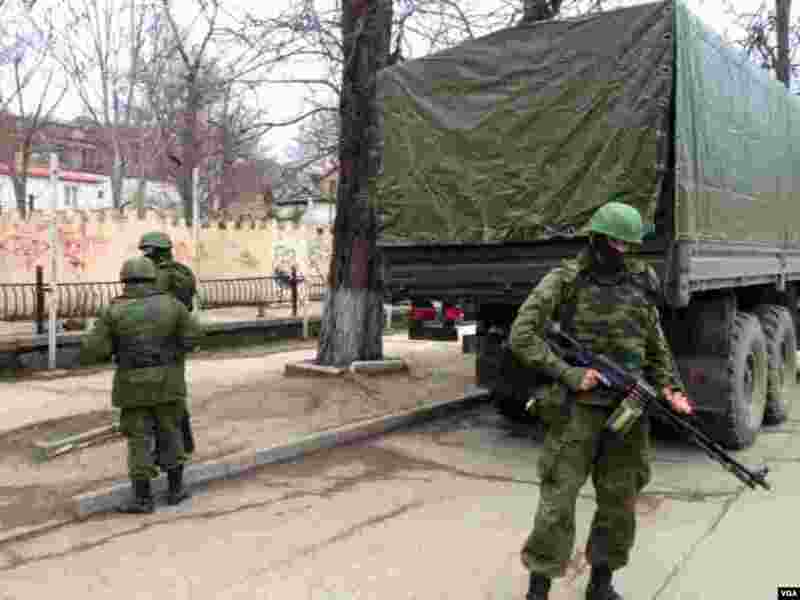 ۶ Soldiers without insignia guard buildings in the Crimean capital, a day after the Crimean prime minister called for Russian help, Simferopol, Ukraine, March 2, 2014. (Elizabeth Arrott/VOA). 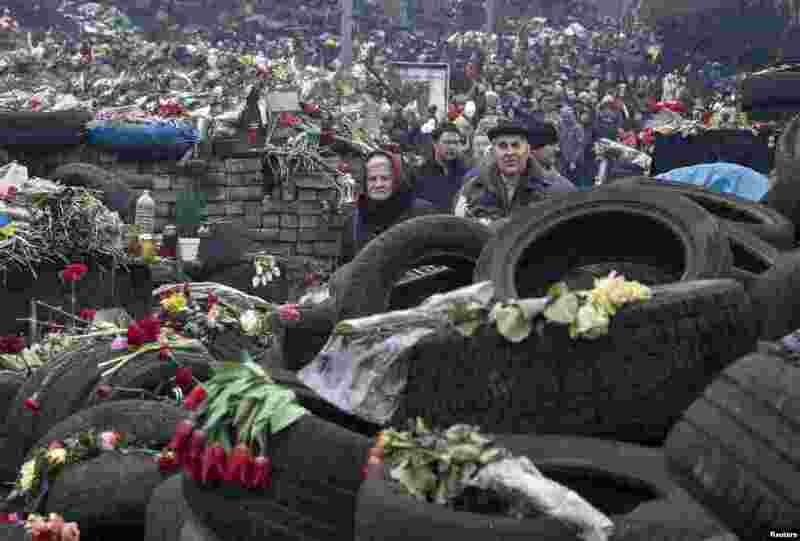 ۷ People mourn at a make-shift memorial for those killed in recent violence at Independence Square, Kyiv, Ukraine, March 2, 2014.